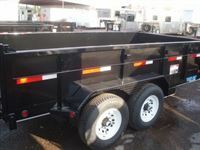 2018 Top Hat 7 X 14 dump trailer with 12k GVW . 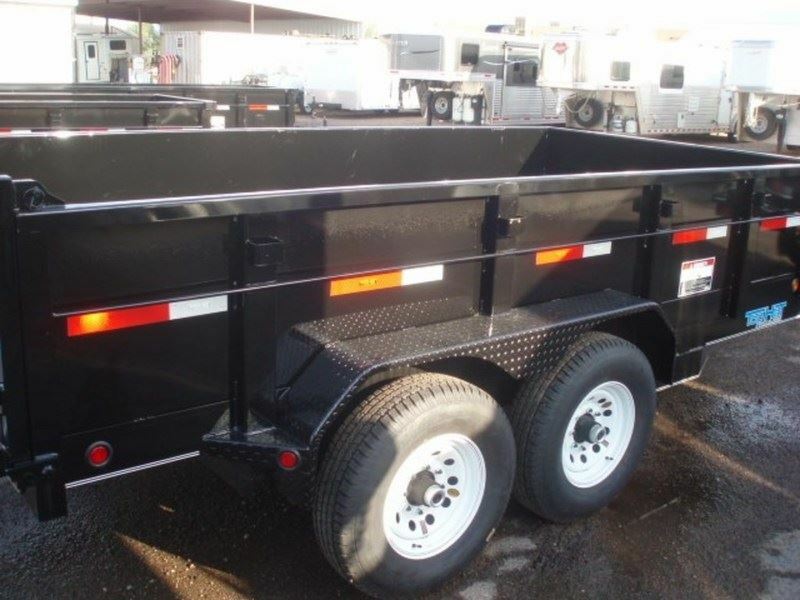 Trailer is 7' wide, 14' long, steel deck, adjustable Bull-Dog Hitch, lockable pump and battery box, spare tire mount, stake pockets, D- Rings, heavy duty diamond plated fenders, double back doors, spreader gate, sliding ramps, 2-6000# axles, brakes on both axles, 16" tires, and 8 bolt hubs.Stop at Bishop's Trailer Sales to shop the largest inventory in the state Shop at Bishop's Trailer Sales with over 20 years of experience. Don't forget to follow us on Facebook! !Bishop's Trailers Sales believes all information to be accurate, please verify features & pricing with a salesperson!